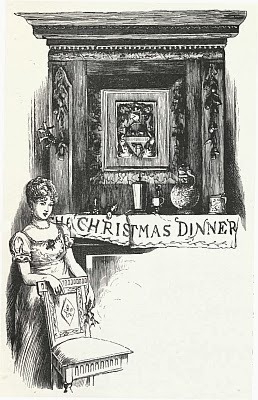 I recommend "Old Christmas From the Sketch Book of Washington Irving", by Washington Irving. We were ushered into this banqueting scene with the sound of minstrelsy, the old harper being seated on a stool beside the fireplace, and twanging his instrument with a vast deal more power than melody. Never did Christmas board display a more goodly and gracious assemblage of countenances: those who were not handsome were, at least, happy; and happiness is a rare improver of your hard-favoured visage. I always consider an old English family as well worth studying as a collection of Holbein's portraits or Albert Durer's prints. There is much antiquarian lore to be acquired; much knowledge of the physiognomies of former times. Perhaps it may be from having continually before their eyes those rows of old family portraits, with which the mansions of this country are stocked; certain it is, that the quaint features of antiquity are often most faithfully perpetuated in these ancient lines; and I have traced an old family nose through a whole picture gallery, legitimately handed down from generation to generation, almost from the time of the Conquest. Something of the kind was to be observed in the worthy company around me. 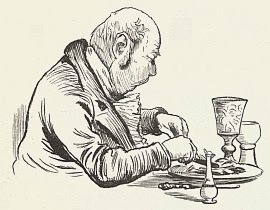 Many of their faces had evidently originated in a Gothic age, and been merely copied by succeeding generations; and there was one little girl, in particular, of staid demeanour, with a high Roman nose, and an antique vinegar aspect, who was a great favourite of the Squire's, being, as he said, a Bracebridge all over, and the very counterpart of one of his ancestors who figured in the court of Henry VIII.